According to state government itself, Illinois’ most recent spending plan is yet another in an unfortunate string of unbalanced budgets. State lawmakers have not passed a truly balanced budget since at least 2001.
n the preliminary official statement to potential bond buyers dated Aug. 16, the Governor’s Office of Management and Budget, or GOMB, notes the fiscal year 2019 budget is out of balance by $1.2 billion. Furthermore, the report states, “The State provides no assurances as to how, when or in what form this structural deficit might be addressed.” The statement was released as part of the state’s plan to sell over $920 million in new general obligation bonds. 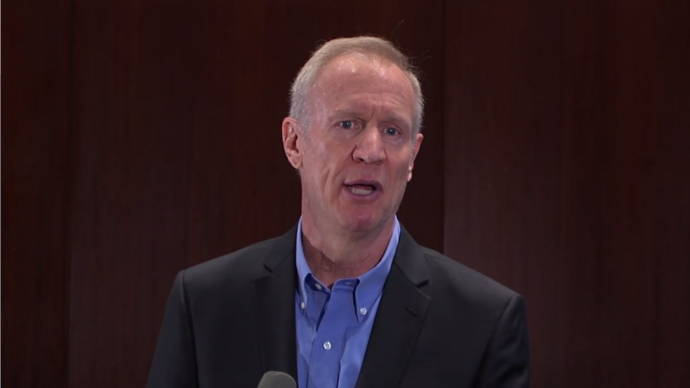 The Illinois Policy Institute projected the General Assembly’s spending plan was out of balance by as much as $1.5 billion shortly after the bill was made public. On May 30, state senators cast their votes on the 1,245-page bill less than five hours after it was made public. The measure passed by a vote of 56-2. On May 31, the Illinois House of Representatives approved the fiscal year 2019 spending bill by a 97-18 margin. The spending plan received significant support from Democrats and Republicans in both chambers. Because the General Assembly never adopted a revenue estimate – as required by the Illinois Constitution and state law – and because the budget is out of balance despite a constitutional balanced budget requirement, the measure should not really be considered a budget: It is simply a spending plan.